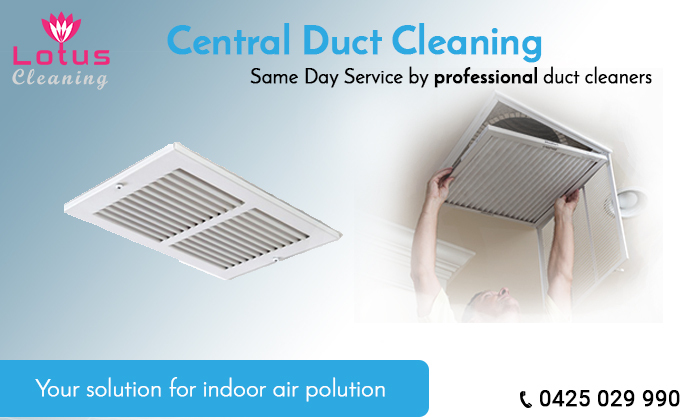 Duct Cleaning Bayswater North provides best quality duct cleaning, vent cleaning and AC Duct Cleaning services at Lotus so call us right now on 0425 029 990. 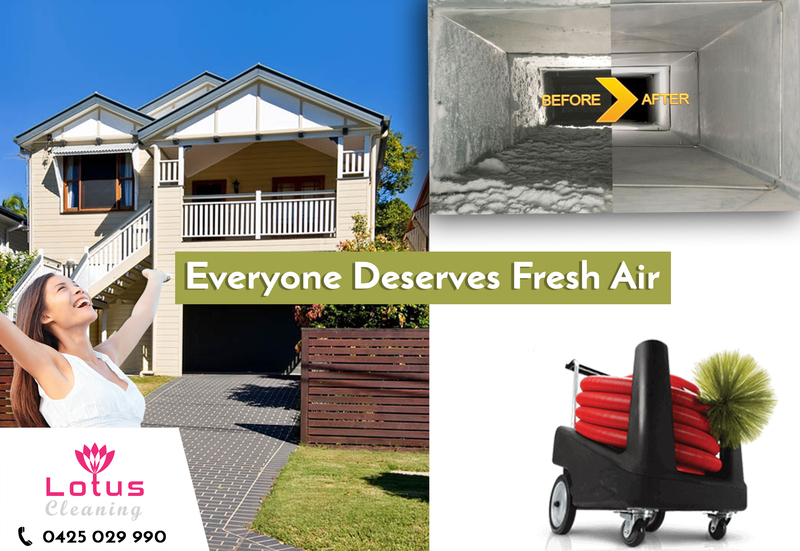 Getting your air duct cleaned is important to spend a healthy life and the quality of the air we breathe in is directly related to our health and therefore it is a necessity to get your air duct cleaned by Lotus Bayswater North Cleaning. Reasonable Duct Cleaning Bayswater North : $27 per duct including duct sanitizing and duct deodorizing and 10 ducts clean in just $270. We are available for 24/7 in Bayswater North. Just call Lotus AC Duct Cleaning Bayswater North on 0425 029 990 and we can schedule a visit for you! Lotus Professional Duct Cleaners Bayswater North also an expert in Heating duct cleaning & Cooling Duct Cleaning, Duct Repair, Duct Installation, Duct Replacement and Duct Sealing, all technicians are certified and well trained to give you quality services in efficient manners. Our professionals will make recommendations about the best way to address any indoor air quality concerns. This can save your money and provide peace of mind on the health of your system. Finding Same day duct cleaning Bayswater North services? Need a same day duct cleaning service? We at Lotus Cleaning Bayswater North will get you covered. We understand your time crunch and would like to help you out in a way to minimize the duration of the duct cleaning process. We advise you to avail our same day duct cleaning service, our expertise cleaners will make your ducts seem brand new within a day. Lotus duct cleaning involves the general maintenance and cleaning of heating and cooling system components. We also offer Duct system sanitization and deodorizing, which including with our duct cleaning Bayswater North services. We provide completely Eco friendly services. Lotus Cleaning also expert for chemical free duct cleaning Bayswater North services. If you have any emergency, we are available for 24/7 duct cleaning service throughout Bayswater North. Why Lotus Duct Cleaning Bayswater North Services ? We are certified: We have certified duct cleaners Bayswater North and won't leave you disappointed. We have been doing our job since years and we are aware of what we do so do not worry because your air ducts are cleaned by good professional hands. Affordable costs: Lotus Duct Cleaning Bayswater North services seemingly won't make a difference to your pocket as we provide affordable services. Spending on clean ducts means spending on a healthy lifestyle and are you aware that a good working furnace helps in reducing your electricity bill? Our professional and reliable duct cleaners Bayswater North combine experience and hard work which results in a superior clean for your ducting system. We use the specialized video camera to identify the location and removal procedure. Lotus Cleaning's expert Duct Cleaners Bayswater North are well trained in performing their job in an efficient manner. In addition to duct cleaning we also provide the service of dryer vent cleaning Bayswater North being. Dryer vent cleaning is important and has to be done especially by cleaning experts and not getting your dryer vent cleaned from time to time can bring out fire. Get best duct cleaning Bayswater North with affordable price. 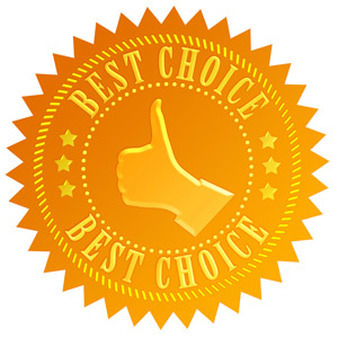 If you are finding the best commercial duct cleaner in Bayswater North then we have all advanced duct cleaning equipments to give you the best result. We use 100% organic green products serving all of the Bayswater North! Lotus Duct Cleaning Bayswater North is a positive step toward a cleaner, healthier, and more energy-efficient home. Clean, clear air ducts ensure that every bit of output from your HVAC system reaches your living spaces so you can enjoy greater home comfort and lower energy bills. Expert in ducted cooling cleaning, best air duct cleaning, duct vent cleaning & Central Duct Cleaning Bayswater North. Improve the performance of your heating & Cooling system by keeping your air ducts clean. Contact Lotus Cleaning today on 0425 029 990 for your professional HVAC inspection in Bayswater North. Lotus Cleaning is a local and professional duct cleaning services company in Bayswater North to providing indoor air quality solutions focus on air duct cleaning services, dryer vent cleaning, heater unit servicing, carbon monoxide testing, evaporative cleaning, central duct cleaning, HVAC cleaning and all types of cooling and heating system cleaning. Our duct cleaning technicians are certified and use the latest equipment and technology to perform the most effective cleaning of your duct system.